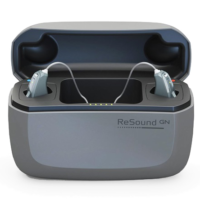 The ReSound LiNX² is ReSounds’ most versatile hearing aid, focused on ‘Effortless Hearing’. The LiNX² comes in three technology levels, the LiNX² 5, LiNX² 7 and the LiNX² 9 but all are ‘Made for iPhone’ and contain wireless and Bluetooth connectivity. However, if Android technology is more your style, there is the ‘Phone Clip+’ that allows your LiNX² aids to act as a set of wireless set of Bluetooth high quality headphones. ReSound also offers the ReSound Smart application, which allows accessible changes in treble, bass, volume and program. And if you have lost your hearing aids? Do not fret, this app allows you to locate them with a location finder. One of the major features of the LiNX² is ‘Smart Hearing’ which automatically adjusts the program based on your listening environment. 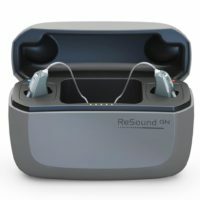 ReSound claims that the LiNX² has 30% better speech clarity than other devices in a similar category. This is partially due to the ‘Binaural Directionality II’ encompassed with ‘Spatial Sense’. This allows spatial cues within the signal of the incoming sound to be perceived by the brain as one, reducing the strain of separating individual sources of noise. Therefore, this allows you to follow conversations much better in noisy environments. The devices’ shell is coated with ‘iSolate’ nanotechnology, which enables it to repel dust, moisture and wax with ease. The LiNX² is available in a variety of colours, 25 to be exact, and either in behind the ear (BTE), receiver in the ear (RIC) or invisible in canal (IIC) styles. Additional styles that are new to this market include the mic in helix (MIH) design, which is exclusive to ReSound. This design enables a smaller fit whilst delivering a large reduction of wind in noise issues, whilst reducing the risk of feedback due to the microphone being positioned further away from the microphone. ‘Sure Fit’ by ReSound allows the receiver to be of a smaller dimension, whilst exhibiting performance and maximum output of a higher degree, allowing a better fit in the ear, while simultaneously lowering levels of distorted sound. These thinner tubes, domes and whole receivers also become more appealing to a wider audience, due to their markedly discrete appearance. ‘Aventa 3.10’ technology removes the need for wires and cables to be linked to your hearing aids during wear, specifically during fitting with your audiologist. Via Airlink USB connection, compatible with Otometrics audiological equipment, the first-fit becomes an overall more easy and comfortable experience, producing better quality of sound and directionality, therefore improving satisfaction of the client. From ‘Beach Surf’ to ‘Shoreline’, the LiNX² is already installed with 6 channels to help with tinnitus, inspired by the world around us. The LiNX² 9 is the top of the range model, ideal for individuals surrounded by situations of which listening is a real challenge. Also best suited to those with an extremely active lifestyle, the 9 model boasts the superior range of features for those really in need. The LiNX² 7 model is a premium option for individuals of whom aim to spend hefty periods of time in quite challenging listening scenarios. Including wide-ranging features, this 7 model gives you a taste of the superior, without the high price point. 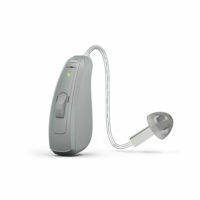 On the other hand, the LiNX² 5 is still advanced, due to its’ LiNX² technology, but is best suited to those who are less sociable or encompassed within generally quieter surroundings. The indispensable assets of the LiNX² 9 are featured within the 5 model, making the device more simple, yet not less effective. 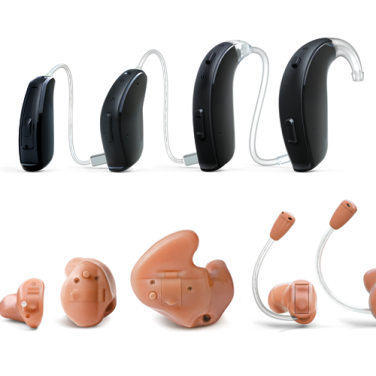 Overall, the LiNX² range of hearing aids by ReSound offer a wide selection of hearing solutions for individuals with a range of hearing losses and environmental challenges.